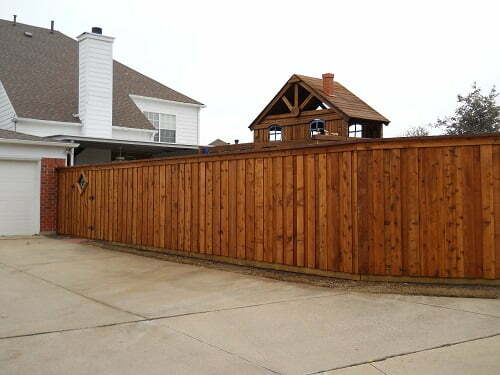 Most people don’t think of a wood fencing as being temporary, but depending on the type of wood used, a wood fence averages 8 to 15 years of useful life. The species of wood generally used are Spruce and Western Red Cedar. Spruce, (also referred to as pine, white wood or SPF) has the shortest lifespan. Spruce will have a more yellow appearance and generally will have more knots and imperfections than Western Red Cedar. Spruce is the most economical wood material but is also considered the lowest quality wood material. 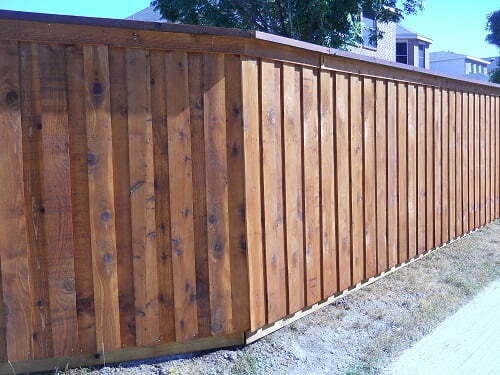 The average life span for a Spruce fence is 6 to 10 years. 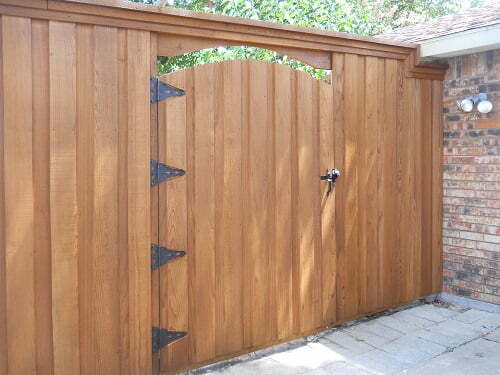 Western Red Cedar (WRC), is a longer lasting, higher quality material. 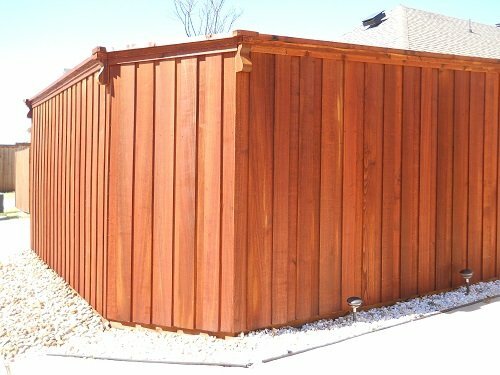 Cedar generally has a more attractive appearance with less imperfections in the wood. WRC is available in Clear, #1 and #2 or better grades. The grade indicates the amount of knots and imperfections in the wood. The more knots the lower the cost. 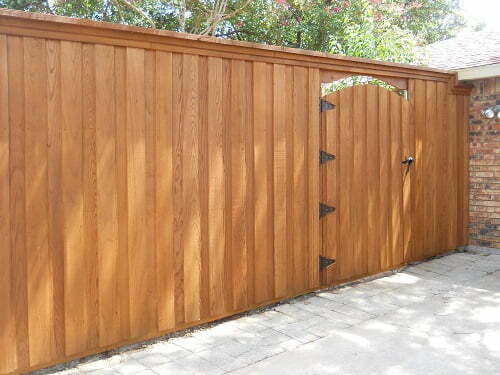 The average life span for a WRC fence is 10 to 15 years. 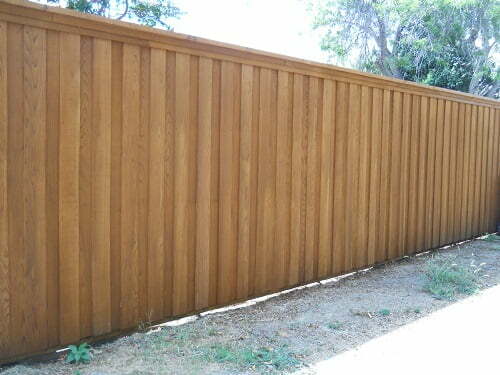 A WRC fence can last longer if it is sealed initially and kept sealed throughout its life. 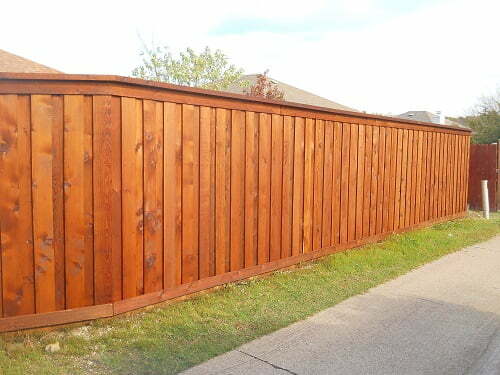 At Future Outdoors we recommend Western Red Cedar for our wood fence customers. We prefer WRC because we want to be proud of the fences we build. We always use galvanized metal posts and always recommend posts that are 3 feet in the ground with concrete. Fences with posts not installed deep enough are more likely to lean and pull apart prematurely. Most of our competitors use 8’ posts on a 6’ tall fence and do not build there fences on the best foundation. At Future Outdoors, we believe that no matter what material you choose, the manner of the installation is where we excel over our competitors. Warning: Beware of Incense Cedar, Chinese Cedar or other species of wood. These species of wood do not fight off bugs, warping and rot like Western Red Cedar. 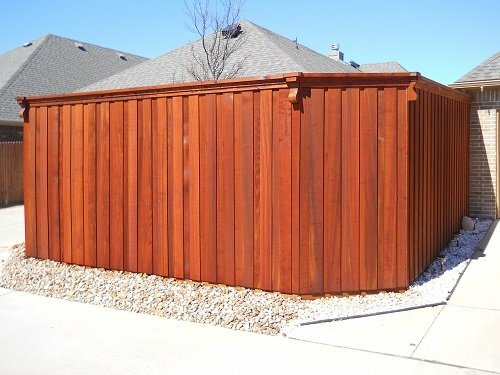 Make sure your estimate doesn’t just say “Cedar” or any of these other cedars or you may not be getting Western Red Cedar. 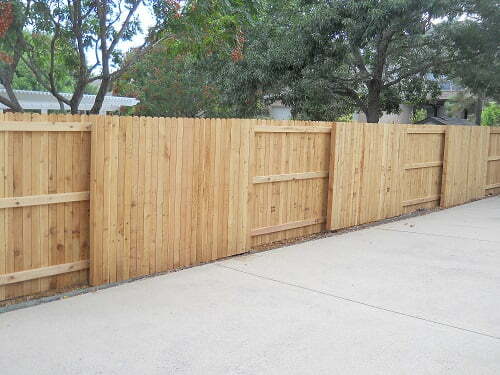 Even with high-quality materials, a good fence won’t be good at all if it isn’t installed properly. That’s why our team at Future Outdoors takes wood fence installation seriously. 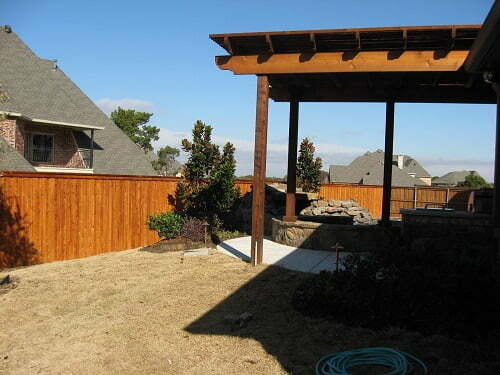 We believe in building and installing our wood fences and shade structures to be as strong as possible. We go above and beyond minimum installation guidelines in order to offer our customers a truly outstanding product. 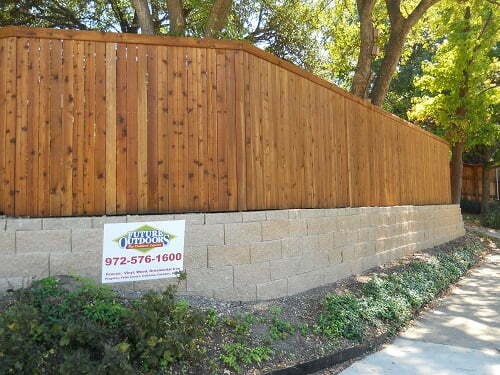 Our installers have been installing wood fence and other products for over 20 years in the Dallas area. 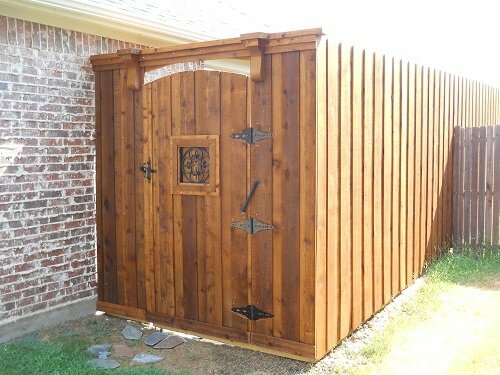 Their experience and judgement is second to none, and the fences they build stand tall for far longer than other, more cheaply-installed fence products. Our team at Future Outdoors has always taken the approach that doing a job right is the single most important thing they can do for a customer, and we keep that approach in mind every time we install a new wood fence or wood structure. What makes our installation process different? Unlike other companies, we prefer putting our metal fence posts three feet into the ground, instead of the two feet or less that is standard for most fences in Texas. We also prefer digging an 6” diameter hole and using close to 60 pounds of concrete around each post, making the posts far sturdier than if we used smaller augers or less concrete. 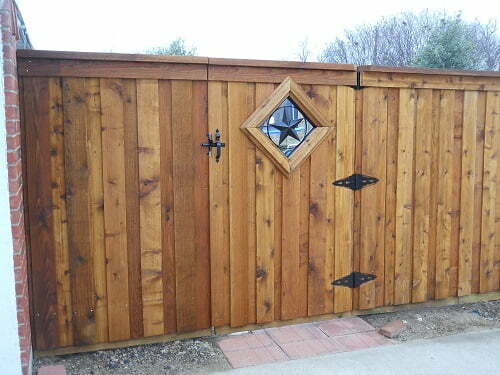 When you work with Future Outdoors, you’re not just getting a high-quality wood fence. 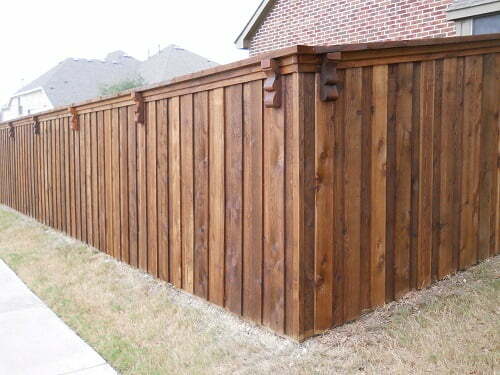 We match the exceptional quality of our wood fence material with the best installers in the business. Every one of our installers is highly trained to install the products we sell, and to offer you the best service possible while they work. Every one of our crew leaders has been with us for a minimum of 12 years, and every one has installed at least 2000 projects. 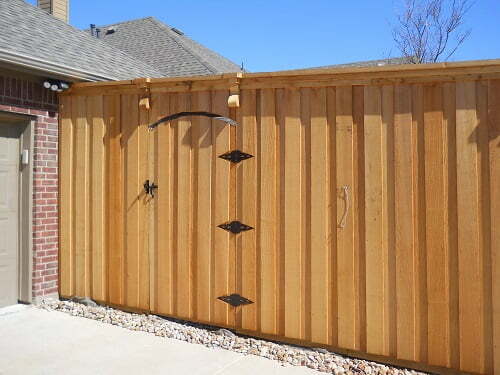 Our installation crew leaders are the most experienced fence installers in the state, and their experience and expertise shows in the high quality and durability of the fences and shade structures they install. 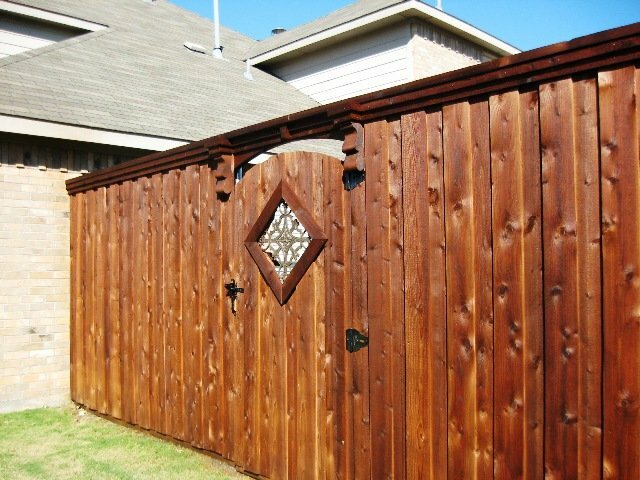 If you’re looking for the highest-quality wood fence you can get anywhere in the state of Texas, contact us today at Future Outdoors. 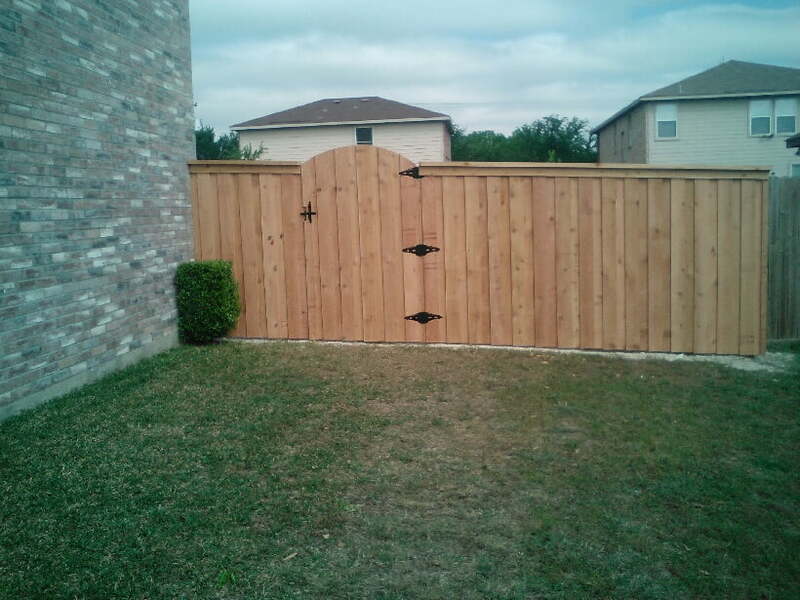 We’ll give you a free quote or estimate for a custom wood fence on your property, and we’ll work around your schedule to make quoting and installation quick and convenient for you. We believe that our installers are just as important as the fences they install, and that’s why we only work with the best installers in the state.